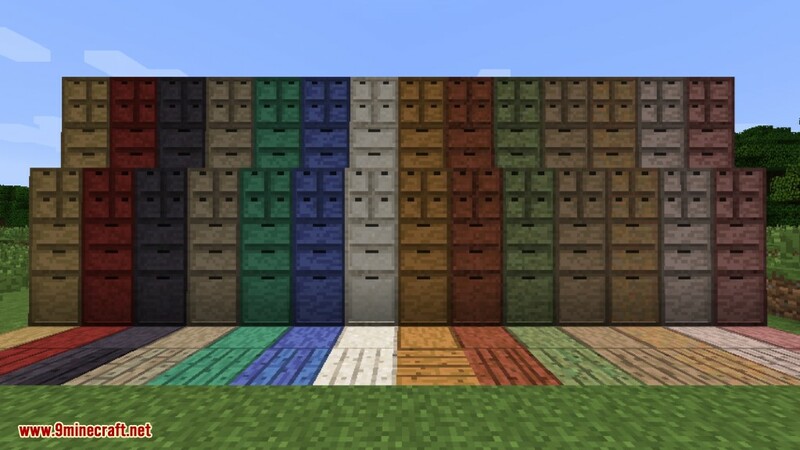 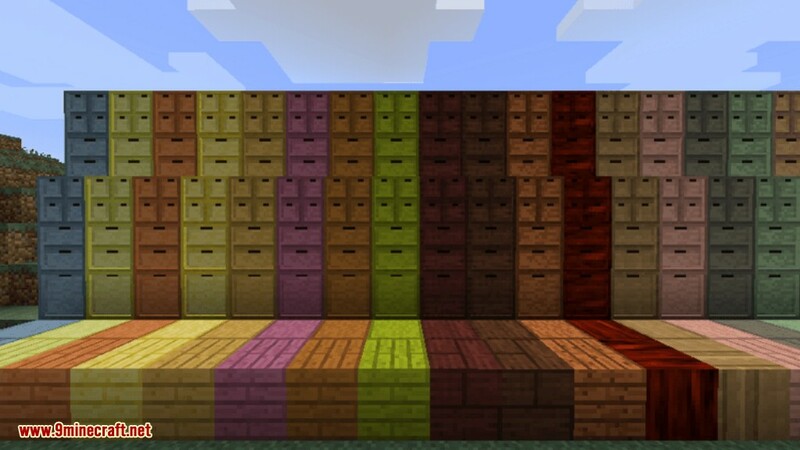 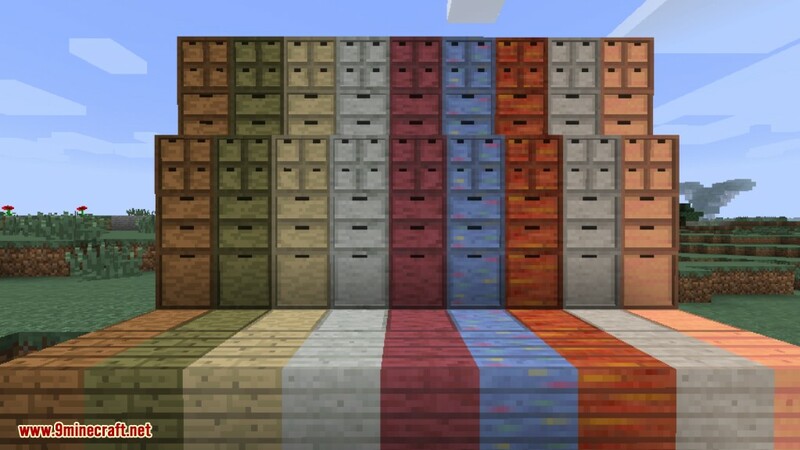 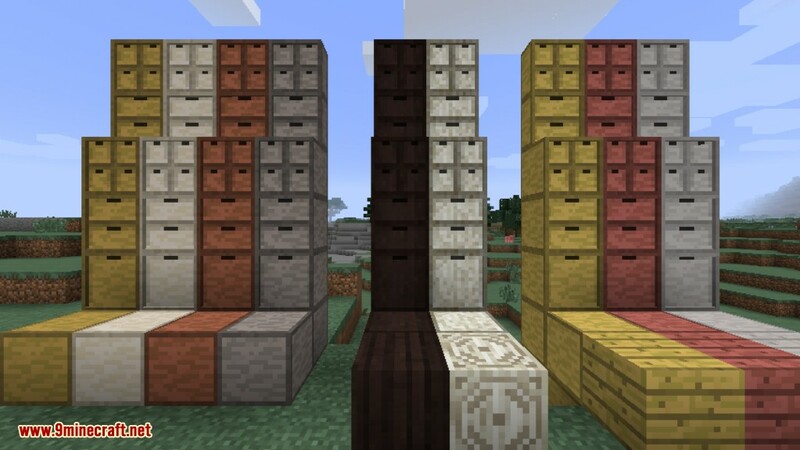 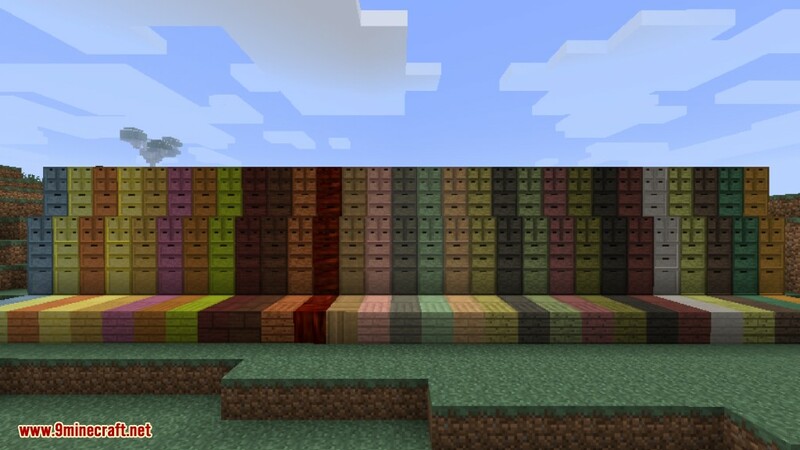 Storage Drawers Extras Mod 1.12/1.11.2 is a unified addon pack for Storage Drawers adding more wood styles from common third party mods. 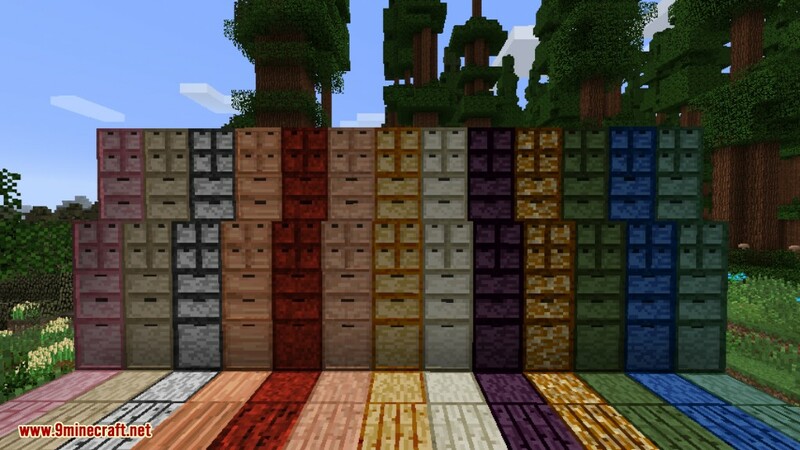 It adds a new set of wooden drawer styles and recipes using the plank blocks available in other mods. 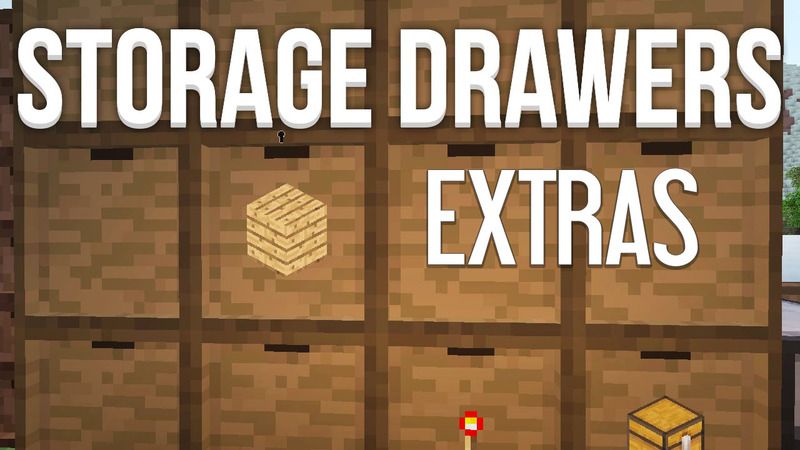 Make sure you have already installed Minecraft Forge and Storage Drawers Mod.